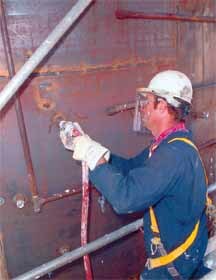 Tip 1: Evaluate the furnace liner by using infrared (IR) thermography inspection. 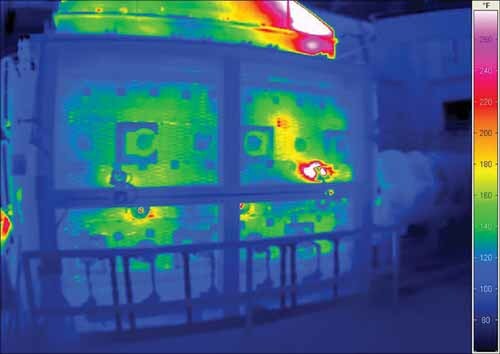 Infrared (IR) thermography scans are an essential step for evaluating the quality of the furnace lining. Lining quality is critical to protecting the steel from heat and also to limiting heat loss and promoting overall furnace efficiency. Typically, the scan involves pointing an IR camera at several points on the furnace casing to analyze the outside temperature and identify hot spots where the unit is leaking heat or experiencing design issues that may not be visible from the outside. This is a particular issue with a painted surface. Obviously, scanning from the outside is of great benefit, because the unit can continue to operate. Figure 1 shows an IR camera detecting hot spots or other problems with the lining. In many cases, especially trained applications engineers conduct the infrared imaging, analyze the IR scans, and provide recommendations on the most appropriate repair options. Tip 2: Use online maintenance repair. Depending on the temperature, the difficulty of getting to a particular area, or how big the hot spot is, conduct online repairs wherever possible. Most maintenance managers prefer the online repair option because it is reliable, fast, and economical. After all, boilers and process units are generating revenue, so it is of great value if repairs can be made while the unit is online. This avoids revenue loss from the unit in question, as well as the consequential losses from shutting down additional connected units. For example, where IR scans indicate that online repairs are recommended, some insulation can be pumped from the outside of the furnace or boiler, filling cracks and voids caused by deteriorated insulation. These products are ideal for providing improved thermal insulation efficiencies behind boiler tubes in sidewalls, seals, and floors, as well as repairs of ovens, furnaces, and process equipment. 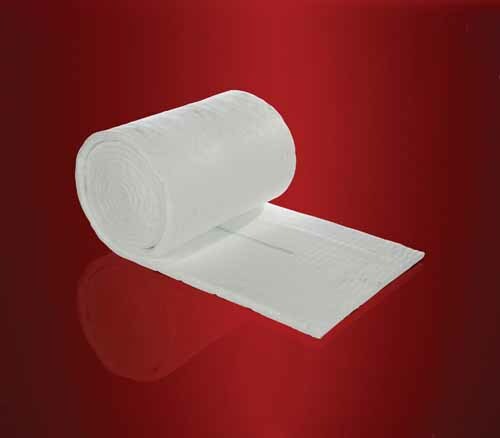 cooled until it is safe for maintenance personnel to enter and repair the lining with fiber blankets, pumpables, or monolithics. the outside to fill the hot spot and cool a particular area. 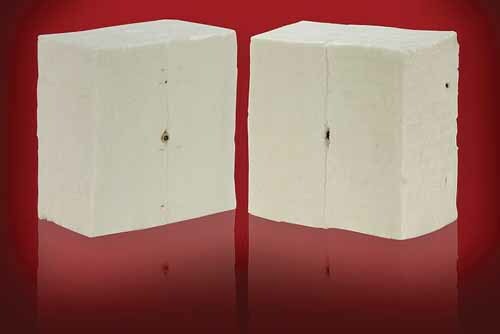 Tip 3: Choose the right material for furnace re-builds. upgrading when you have to reline the furnace. Figures 3 and 4, page 12, show a variety of materials used in furnace rebuilds. Tip 4: Carefully consider engineering design. After selecting the proper materials, be sure that the engineering design is suitable. Engineering is extremely important to ensuring the furnace relining is as long-lasting as possible. Make sure the materials have enough studs to hold them in place and have sufficient joints for expansion or shrinkage. For instance, if you install a brick lining without the proper expansion joints, the brick could actually grow and end up pushing the entire lining off the furnace wall. Tip 5: Proper installation is key to success. Be sure that installation of furnace lining material is done properly and that those doing the job have the proper skills for the task. There is a wide variety of products available, and each one has different installation requirements. For example, with concrete products, if the concrete is not mixed with the right amount of water at the proper temperature, the material will not develop, will be difficult to place, and will not reach expected properties. The bottom line is that incorrect installation is as bad as not having a good design and not making a good material choice.